The International Law Office sometimes referred as ILO is a long time supporter of Phuket Island radio. With offices in Phuket Town with easy parking and also have an office right in the centre of Patong, ILO are conveniently situated for your visit. The International Law Office specialises in Estate planning, property purchases, work permits, litigation and the ever-changing laws in Thailand. Truly is your one-stop service. Providing Legal Services since 20 years that are varied and comprehensive and include Litigation, Civil and Criminal Cases, Company Formation and Registration, Work Permits, Real Estate Law, Family Court Proceedings, Contracts, Last Will and Testaments, Board of Investment processing, Business Planning and General Counsel along with Translation Services. The International Law office is your go to, one stop legal solution. 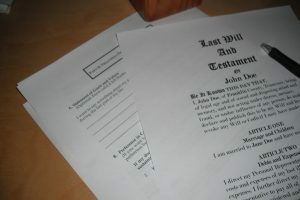 Having served many expats and Thai’s with their specialist and friendly staff, thinking of planning your estate, what about providing for the family, did you make your will yet? Your welcome to call in for a consultation. ILO is owned and managed by both Thais and Westerners, enabling them to bring reality, pragmatism as well as solutions to problems, negotiating contracts, settling disputes and acting as intermediaries in matters concerning clients and the Thai authorities. Need more information call them now 076 222 191. Remember, advice from many is normally free, the wrong advice!! !, you know what I’m saying, get in touch with ILO – The International Law office today.